ESPN+ gives you “thousands” of hours of sports for $4.99. Disney’s new ESPN+ service has landed on iOS, offering subscribers thousands of hours of live sports for under $5 a month. 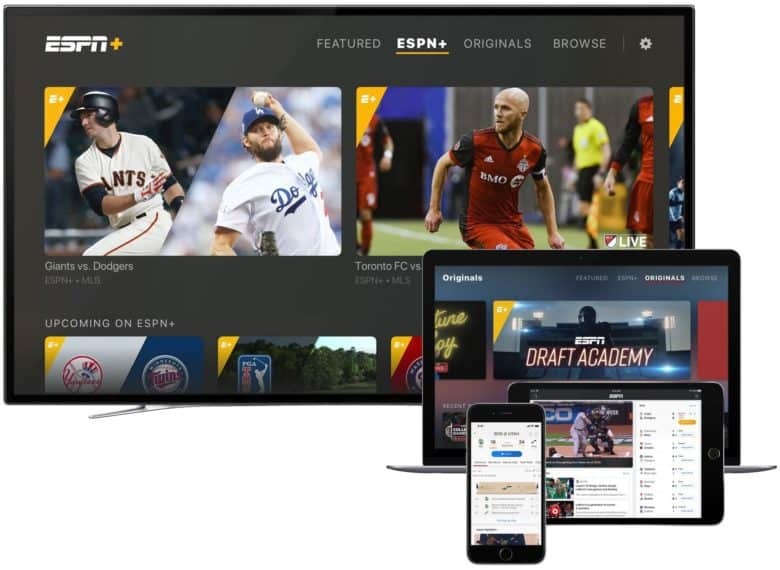 Users will enjoy action from the MLB and NHL, as well as content they wouldn’t typically find on ESPN channels on the big screen. ESPN+ is a win for cord cutters, who would prefer to pay only for the content they want to watch as opposed to a bloated cable package that comes at a premium. But there is a catch: Disney designed the service to complement its cable channels, not replace them. As such, ESPN+ doesn’t offer any live NFL or NBA games, and there’s no Sunday Night Baseball, either. You’ll be able to watch one MLB and NHL live game every day, with the option to add an MBL.TV or NHL.TV package for an additional fee. ESPN+ does have its advantages, however. ESPN+ is affordable at just $4.99 a month, or $49.99 a year. It comes with a 7-day free trial, but if you sign up before April 18, you’ll get your first 30 days free of charge. It’s available through the redesigned ESPN app — there is no need to download another one — which launches today. There’s a large catalog of other content to enjoy, including Major League Soccer games, original episodic programming, and an archive of shows like E:60 and OJ: Made in America. It’s also the only place where you can now find ESPN’s 30 for 30 documentary film series. There’s a possibility Fox Sports content will be added in the future, too — assuming Disney’s deal to buy Fox doesn’t fall through. ESPN+ promises “thousands” of hours of sports content every month, and it’s available across a wide range of platforms, including iPhone and iPad, Apple TV, Android, Chromecast, and the web. It also streams in Full HD at 60fps if your device and connection supports it. You can get started with ESPN+ by downloading the new ESPN app today.